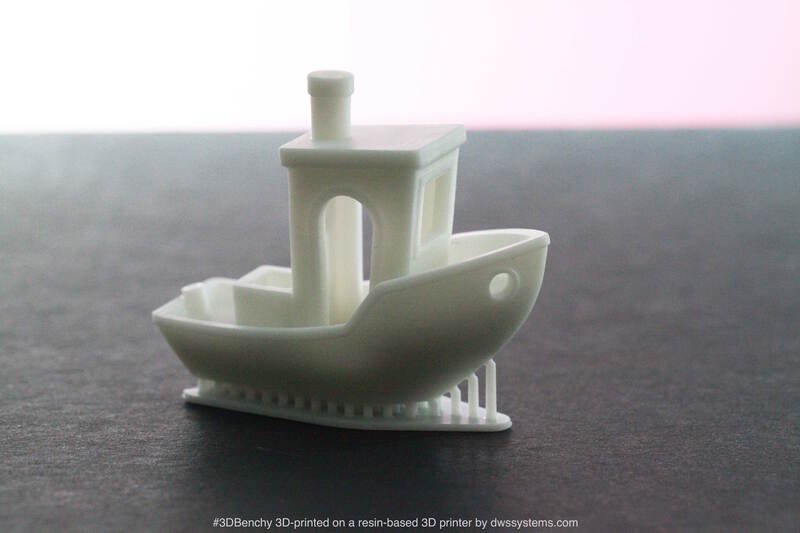 A sample of the #3DBenchy made on a high-resolution resin-based by DWS. Raft and support structures are still attached. 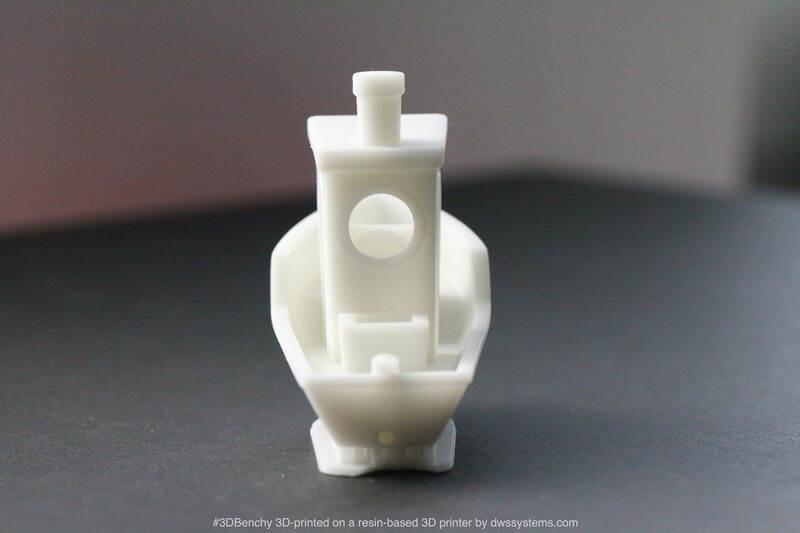 The scale of the object is 1:1 to the original #3DBenchy STL file (60 mm in length).